Like simple, make ahead meals that are healthy, too? Good. So do I. 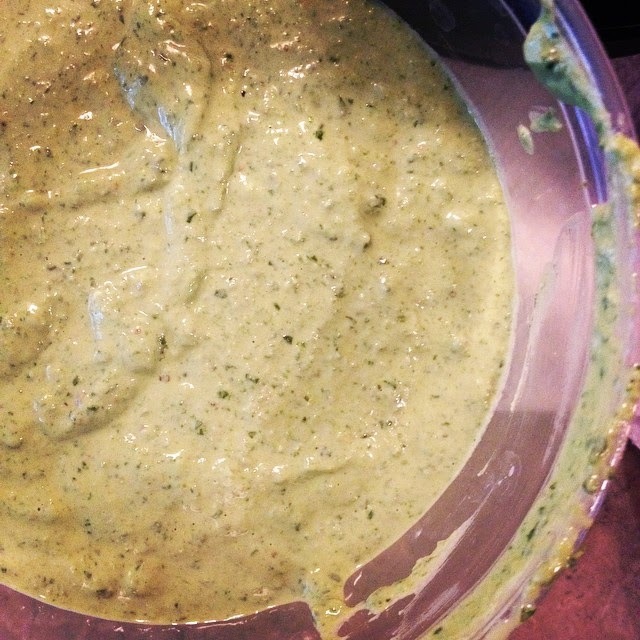 And I have the easiest basil pesto sauce for your next dinner. Just make, heat, and toss over your favorite pasta. Dinner is done! I love a good sauce on my pasta. If you love basil and garlic and ahem, Greek yogurt, you're in for a delicious surprise! Another great tip: Make ahead and freeze this. I would only freeze it if you know you won't be serving it for more than three days. Reheat in a small saucepan, toss in hot pasta. I love simple recipes like this that can go beyond just a sauce for pasta. Spread on a sandwich, or serve as a dip. I don't have a food processor but you can totally use your blender. I just added a tablespoon of water to loosen everything up. Use the pulse button a lot. Everything will be creamy and blended to perfection within 5 minutes! 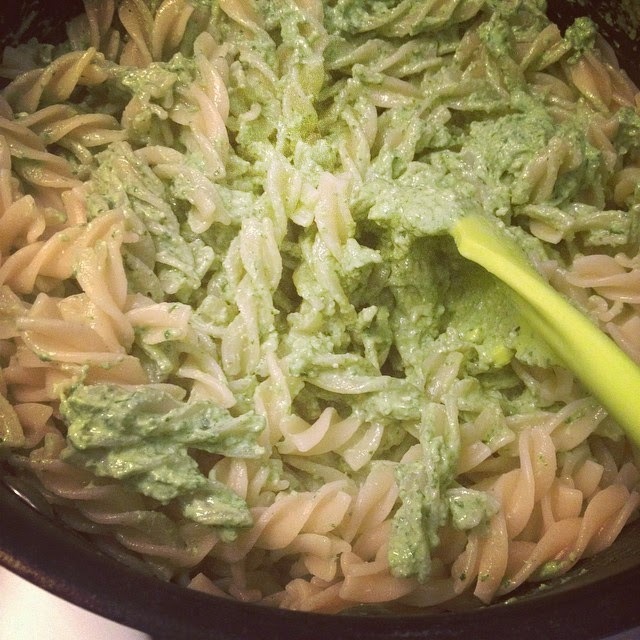 1/2 the calories of regular pesto, healthy and so so good! I hope you try! Enjoy! Do you have a pasta sauce preference?